The patented Twin FlexRail system (PATENT D605,825) consists of twin enclosed tracks with sealed bearing trolleys which provide 1:100 movement-to-weight ratio. 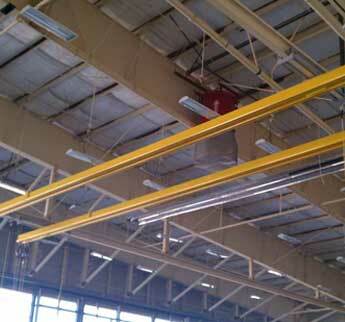 The system is capable of spans of 100′ between supports and 30′ cantilevers past the end supports. 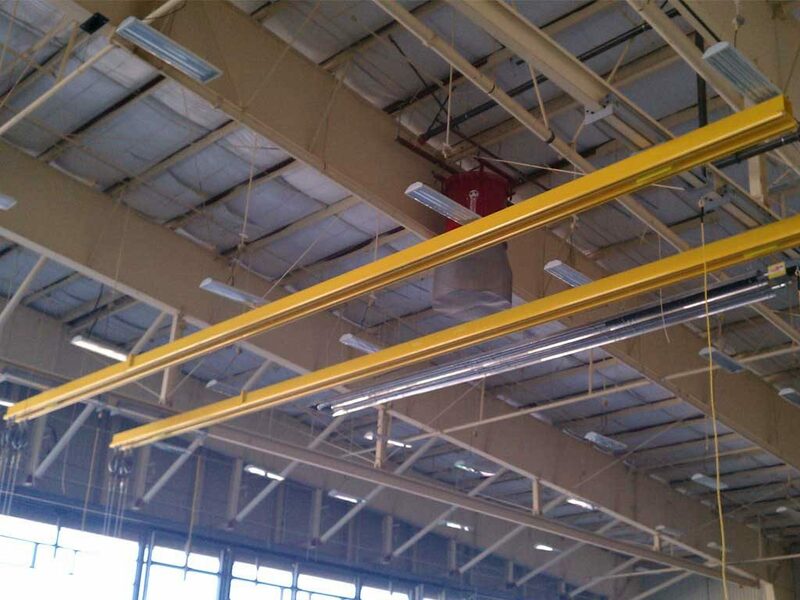 Pictured above is a 260′ system with only three supports. The system pictured here provides complete coverage over four railcars. The system is completely hands-free for the user and allows the user to work with both hands as he is traveling along the walking surface. Due to the extremely low weight-to-movement ratio, the retractable lifeline remains directly overhead at all times eliminating the possibility for a swing fall. With the enclosed track design, the FlexRail system is not susceptible to debris, snow and ice build-up as with exposed flange trolley beam designs. 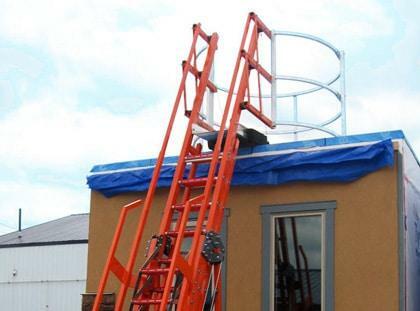 The FlexRail will be available for use year-round even in inclement weather conditions when it is needed the most. 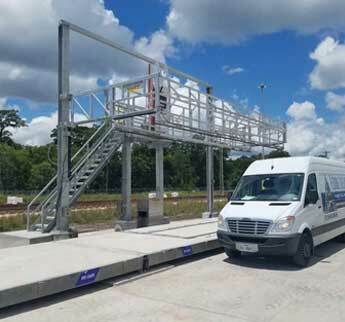 Bypass Capability – With each user on their own enclosed track, multiple users gain the added benefit of bypass resulting in increased safety and productivity. You no longer have to worry about users disconnecting from the system in order to pass each other. 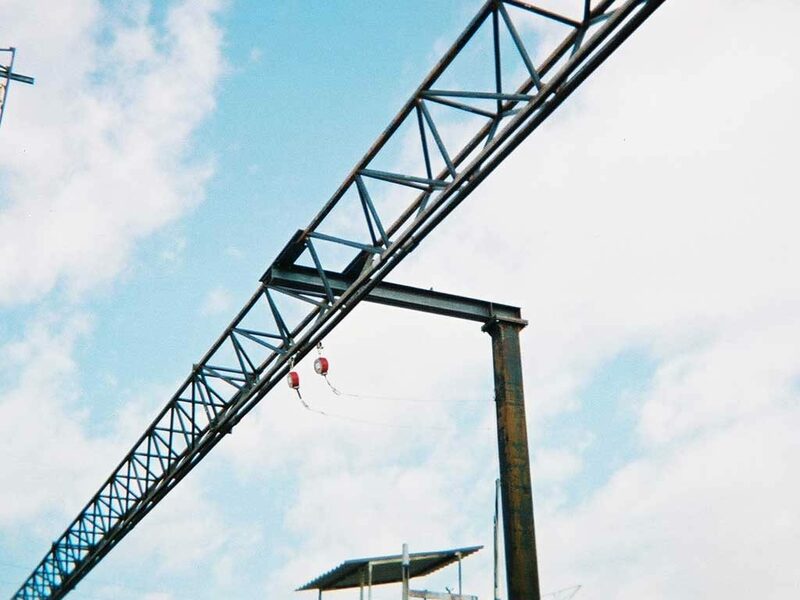 No More Dust/Debris Build-Up – The enclosed track completely eliminates dust and debris build-up, providing a maintenance free fall protection system. Old style I-beam trolley systems are prone to dust and debris build-up on the exposed flanges which is knocked off the beam when the trolley passes by and potentially into the railcar or truck, resulting in contaminated product. In addition, dust and debris build-up prevents the trolley from rolling smoothly resulting in the user having to drag the trolley behind him, sometimes as far back as the retractable extends. This causes an extremely unsafe situation known as a swing fall. This is no longer a concern with the FlexRail. No More Ice and Snow Build-Up – The FlexRail enclosed track completely eliminates snow or ice build up, providing unprecedented ease of movement when you need it most. With the 1:100 movement-to-weight ratio, the retractable lifeline remains overhead at all times providing additional support on slippery surfaces. We recommend that the user “lock” the retractable lifeline and use it as additional support while walking. Durability – All structural components are hot-dip galvanized in accordance with ASTM A-123 for added durability and corrosion control. The teflon wheels of the sealed bearing trolleys do not damage the coating, resulting in years of maintenance free use. A life expectancy of 25 years, maintenance free, is not uncommon in most industries. Future Expansion – The modular style of the FlexRail system makes it easy to add sections when you expand your capacities. We’ll even design your system with your expansion plans in mind to further reduce costs when you are ready to increase capacity. 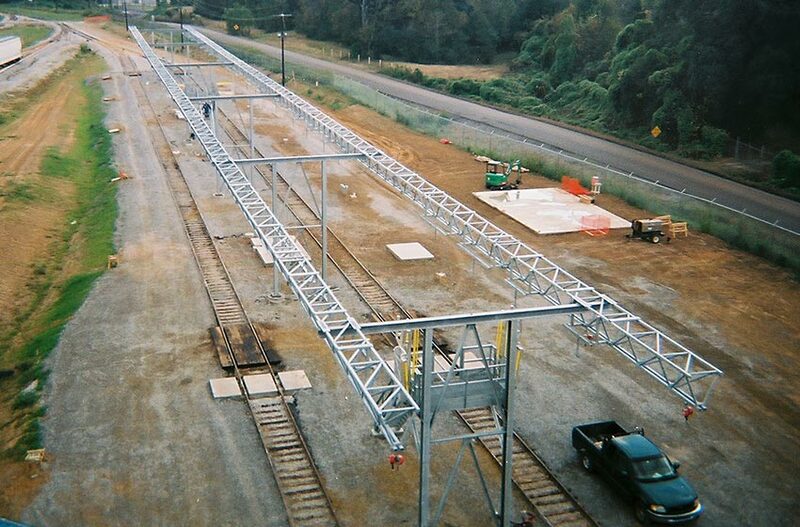 Curves – The FlexRail System can be designed to accommodate curved rail sidings providing complete coverage of all of your railcars. Reliability – The FlexRail enclosed track is by far the most reliable rigid rail system in the world. With its 1:100 movement to weight ratio, the elimination of dust, debris, and ice and snow build up, it is the safest system in use today. 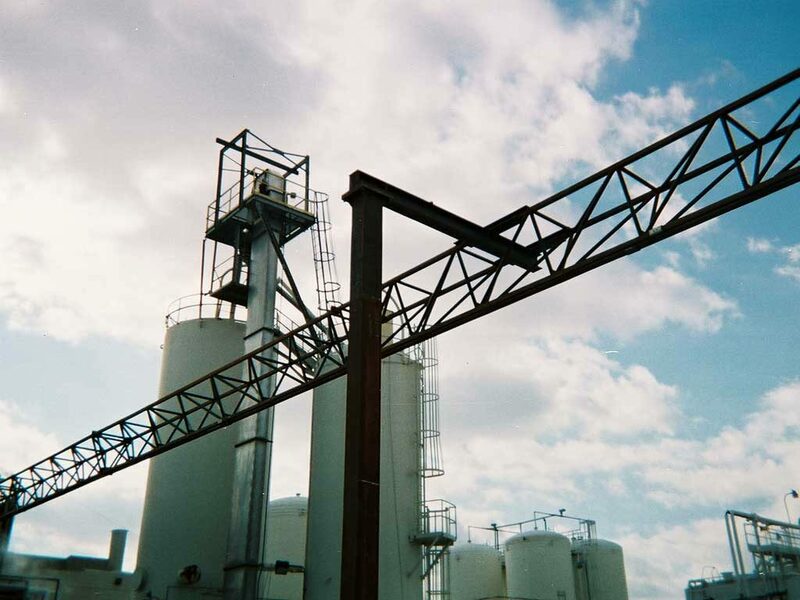 With systems installed all over the world, FLS provides you with peace of mind knowing that you’re providing employees with the best fall protection system available. Sealed Bearing Man-Rated Trolley – The trolley is manufactured from zinc plated steel plate with teflon wheels. The teflon wheels prevent damage to the protective coating of the enclosed track which occurs with a metal-on-metal contact typical of old-style beam trolley systems. The trolley has an ultimate capacity that exceeds 5,000 lbs. and is specifically designed with a 1:100 movement-to-weight ratio, which means it remains overhead simply from the tension in the retractable lifeline. Affordability – When compared to old style exposed flange trolley beam systems, the competitive initial cost, zero ongoing maintenance costs, the increased productivity, and the peace of mind make the obvious choice. 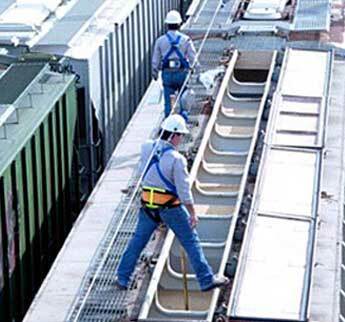 FLS has designed and installed more fall protection systems in many different and challenging applications than any other fall protection system contractor in North America. Our service is second-to-none. Our wide array of products are the best available worldwide and the costs are surprisingly affordable despite the obvious unequaled value. 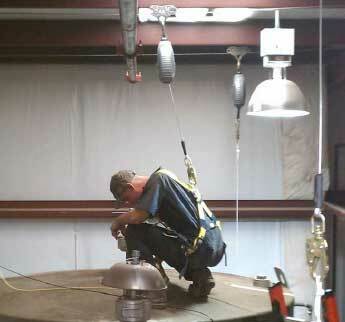 Our fall protection experts are available to answer your questions. Complete this form or call 1-800-353-9425. Select below for more information about specific railcar/truck safety solutions. 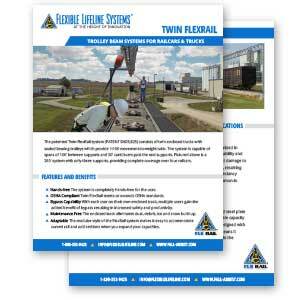 The patented Twin FlexRail system consists of twin enclosed tracks with sealed bearing trolleys which provide 1:100 movement-to-weight ratio. 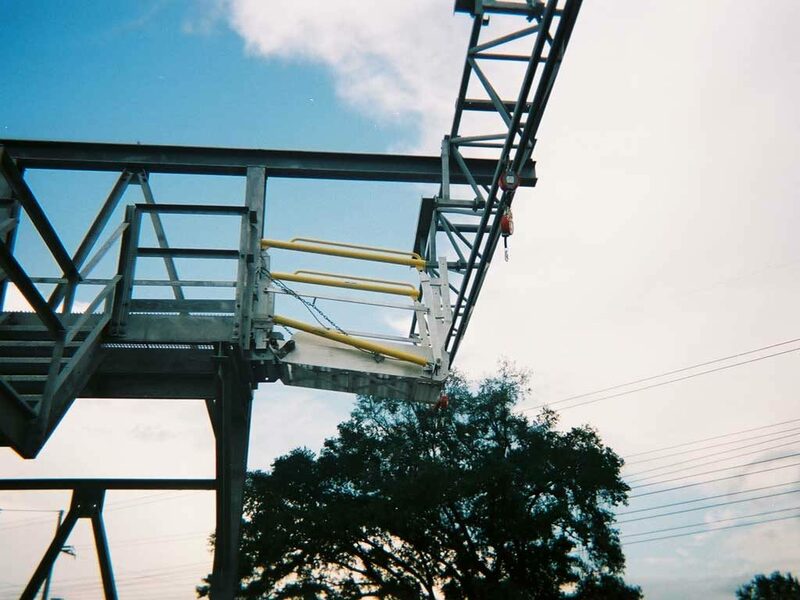 Our durable rigid fall protection system features an enclosed track with optional bypass capability. 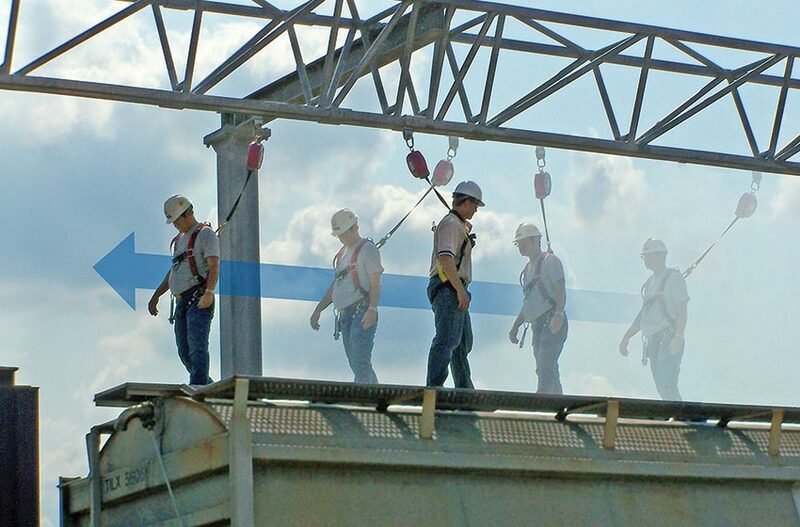 Overhead horizontal lifelines provide the most customizable pass-through fall protection in the world. 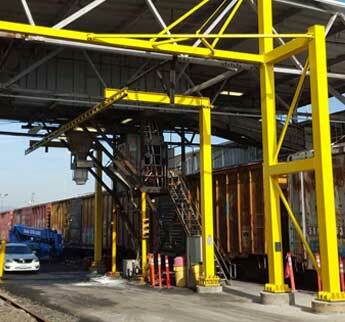 Flexible Lifeline Systems provides a full line of railcar and truck access platforms, gangways, and canopies. 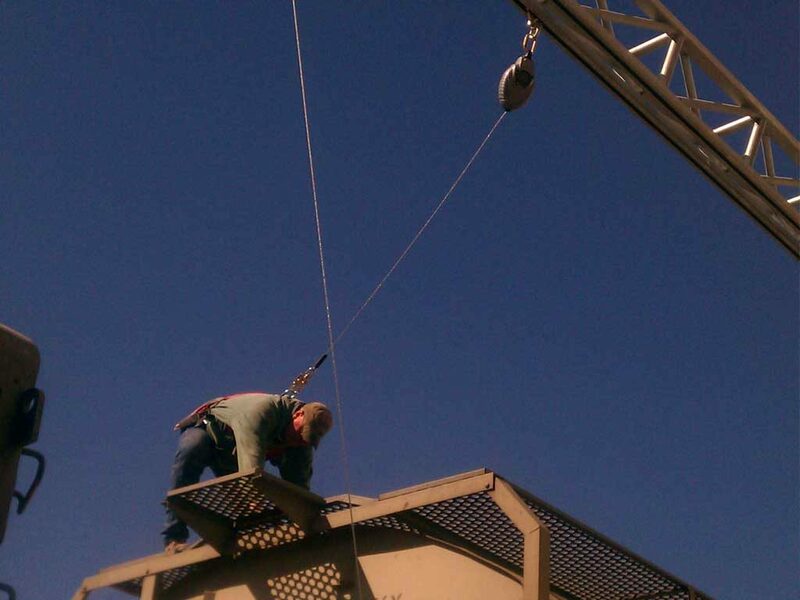 Flexible Lifeline Systems (FLS) offers a variety of freestanding and portable fall protection solutions. We can design and manufacture custom solutions per your requirements. Please rate your experience with your Flexible Lifeline System’s Sales Person. Please rate the quality of the engineering and design provided. Please rate your experience with your Flexible Lifeline System’s Installation. Please rate the quality of the products provided. How likely is it that you would recommend Flexible Lifeline Systems to others? Please send me a free Flexible Lifeline® Power Bank.